I discovered the Maybelline Lash Sensational mascara a few months ago (full review here) and loved it but unfortunately I have a problem with mascara smudging on my socket bone or "blobbing" as I call it, it is a real pain and often means I'll love a mascara but won't be able to use it because it ends up all smudged and looking a mess, and although the lash sensational mascara was amazing and I loved it, it did blob on me and I was so upset because I loved the product. In my blog post on the lash sensational I mentioned that if ever a waterproof version was launched I'd be very happy because in my experience of trying many many mascaras the waterproof mascara's don't always blob. A couple of months later I got a message from one of my blog readers telling me that a waterproof version of the lash sensational had been launched, I was so excited but then unfortunately couldn't find it anywhere. A few weeks later my daughter Cole came home from work and told me she'd got a surprise for me, she'd found the waterproof version for me and bought me one bless her, I was so pleased it was a lovely surprise and I couldn't wait to try it but unfortunately I had recently started to use a different mascara and wanted to use that up before opening a new one so I said I would save the Maybelline one for my holidays, it's always nice to take new products on holidays isn't it? My holidays came and I popped the mascara into my make up bag along with a Rimmel one I had to try (review coming soon) I thought my holiday would be a great test of the mascara because it would be hot and I'd be sweating (nice) and I'd get a good idea of how well it wore etc. 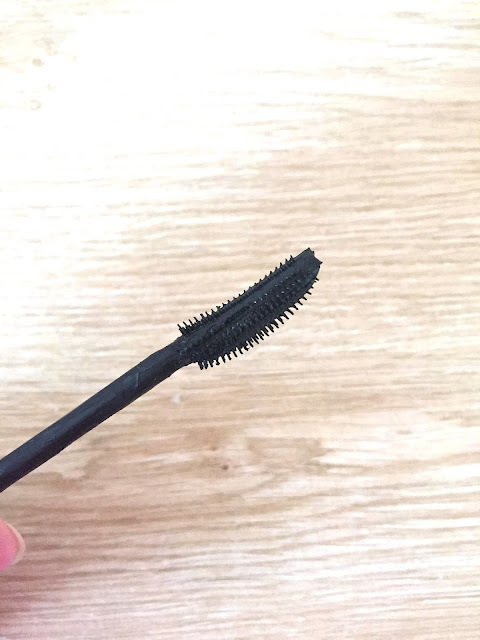 The wand is exactly the same as the wand on the original lash sensational mascara and the product has the same consistency but obviously this one is waterproof, it is extremely black which I love and my lashes look so much longer and nicely fanned out and the best thing of all is that the mascara doesn't smudge or "blob" at all, even in extremely high temperatures in Greece it didn't move, I have had a few emotional times recently and cried a lot and again the mascara hasn't moved at all even with me crying buckets, I am really impressed with the mascara it is amazing, my lashes look lovely and it doesn't smudge or flake at all it's a fantastic mascara and I am so pleased Maybelline launched a waterproof version. I would highly recommend the mascara, I get the same fantastic results as I do with the non waterproof formula but without any blobbing at all I am extremely happy, this mascara is better than some high end mascara's I have recently tried and I would re purchase it in a heart beat it really is fantastic and if like me you suffer with your mascara smudging on your socket bone give this one a try you won't be disappointed. 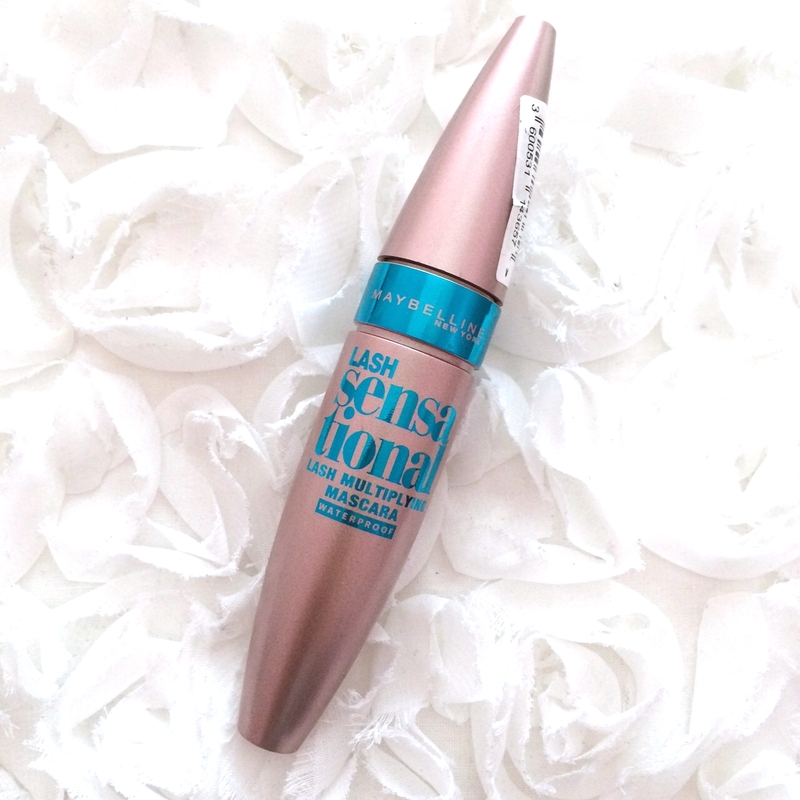 If you would like to try the Maybelline Lash Sensational Waterproof Mascara, you can find it at Superdrug or Boots for £7.99.